Home / COMEDY / Wilson, Helms Go on a Roadtrip in Search of Dad in "Father Figures"
Wilson, Helms Go on a Roadtrip in Search of Dad in "Father Figures"
From the filmmakers behind “The Hangover” comes the new comedy “Father Figures” starring Owen Wilson and Ed Helms as twin brothers whose eccentric mother raised them to believe their father had died when they were young. When they discover this to be a lie, they set out together to find their real father, and end up learning more about their mother than they probably ever wanted to know. The adult comedy will be shown exclusively at Ayala Malls Cinemas (Trinoma and Greenbelt 1) starting January 17. 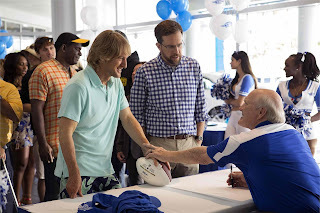 "Father Figures" is Wilson and Helms' first big-screen pairing, and since their interaction is the backbone of every scene there was a lot riding on their chemistry. Luckily, there wasn't much of a learning curve. 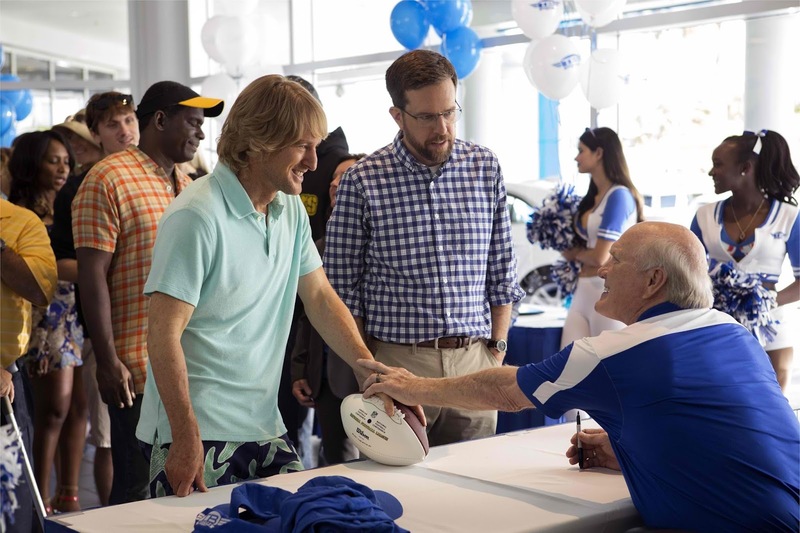 "Owen Wilson is one of the funniest people I have ever met in my entire life," Helms proclaims. "Any time you meet a co-star, you spend about a week or two figuring out how they work and what makes them tick. With Owen, it took about two days for us to find this rhythm and be in sync and crack each other up." "Whatever I was doing, if I said A, guaranteed he would say Z," Wilson adds. Though Kyle and Peter come a little unglued upon learning the photo they cherished as kids was not actually their honorably deceased dad but some random actor, it also starts them looking at their mom in a new light. "[Director] Larry [Sher] brought some personal experience into the mix," says producer Ivan Reitman. "He was very passionate about the story and wanted to be sure it was told with authenticity. There are a lot of very funny moments but you always believe in the truth of it, and in their relationship." That relationship was always their touchstone. "We knew it was going to be the love story of the movie," affirms producer Ali Bell. "But first they have to let out everything that's been bottled up inside-and that's the fun part. This script made us laugh out loud but it also resonated in how siblings deal with each other and the way families come apart and come back together." As the guys follow a trail of 40-year-old bread crumbs delineating their mother's sexual history across four states, all in pursuit of their paternity, there's not a lot they can hold back. "Essentially, this movie is about putting human beings in human situations," Sher states. It just happens that some of those situations are outrageous and chaotic, but all the while we're trying to keep it as honest as possible. Unlike friends, it's hard to escape family."